ISO 9001:2008 certified custom manufacturer of stampings including metal stampings & non-metallic stampings. 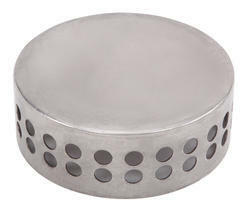 Being a customer oriented organization, we are deeply engaged in offering a wide array of Sheet Metal Stampings. Banking on the skills of our qualified team of professionals, we are involved in offering supreme quality array of Sheet Metal Stamping. Our organization is appreciated for manufacturing and supplying Precision Pressed Sheet Metal Components and stampings Item Code: S001. Used in various industrial applications, these are produced from the best available technology and high speed punching and bending machines. Bend Or Multiple Bend Forming is a metal stamping operation used to shape a flat or blanked piece of metal to create a desired specification. Examples of this include electrical cases, brackets, and connectors. Ranging from formability, process planning to die design, detailing to die layout and simulation, we can provide all the elements of a complete solution for Sheet Metal Stamping. These fans are mainly used in Textile Machineries. With affordable price range and extra life acquiring lees maintenance requirement. The Group makes a variety of sheet metal & tubular components which are assembly oriented . It also has the capability of manufacturing underbody, welded, painted or powder quoted parts and assemblies. “Die Tech Engineers is specialist in sheet metal stamping. Our evolvement and equipment produce excellent quality of components at a very valid part of price that you can handle. 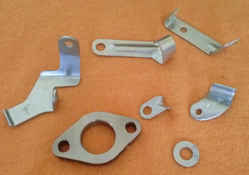 And our sheet metal stamping services present you with a very angular manufacturing solution unmatched in the industry. This includes end-to-end skills – from the design of panel checkers, draw dies, forming dies, progressive dies as well as die layout and simulation.